The Landscape Architecture Firm Award is the highest honor that the American Society of Landscape Architects may bestow on a landscape architecture firm. Purpose: To recognize landscape architecture firms that have produced bodies of distinguished work influencing the professional practice of landscape architecture. Eligibility: Any firm or successor firms in which the continuing collaboration among individuals of the firm has been the principal force in consistently producing distinguished landscape architecture for a period of at least 10 years. 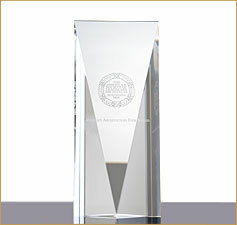 Number: No more than one award conferred annually. Selection Process: Conferred by the Board of Trustees. The firm's influence on the direction/profession of landscape architecture. The collaborative environment of the firm, evidencing strong communication among specific areas of expertise. The consistent quality of the firm's work and its recognition by those who practice landscape architecture, by those who teach landscape architecture, by members of the design and construction community, and by the general public. A brief history of the firm, not to exceed two pages in length. A list of the firm's achievements, not to exceed two pages in length. A brief biography of firm principals, not to exceed four pages total. Up to ten (10) photographs of early, middle, and recent work of the firm. Photo of each firm principal, or group photo. Firm images should be at least 2000x1500px at 300ppi (pixels / inch). They may be larger but must have a minimum width of 2000px, minimum height of 1500px, and minimum pixel density of 300 pixels / inch (i.e. 2000x2500px at 300ppi, 3000x1500px at 300ppi, 2000x1500px at 600ppi would be acceptable images). Firm principal or group photo should be at least 1200x1200px at 300ppi (pixels / inch). It may be larger but must have a minimum width of 1200px, minimum height of 1200px, and minimum pixel density of 300 pixels / inch. Important Note: Nominations are to be kept confidential. The ASLA Executive Committee will select no more than two finalists for presentation to the Board of Trustees. Questions? Contact Honors and Awards Coordinator, 202-216-2331 or honorsawards@asla.org. 2016 Michael Van Valkenburgh Associates Inc.